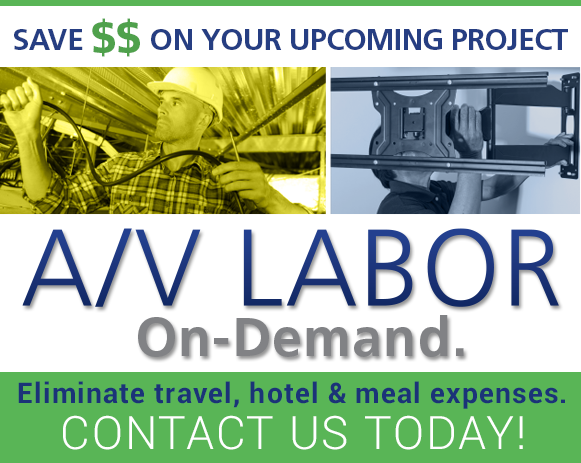 BTX has partnered with a national AV/IT staffing company who provides supplemental labor throughout the U.S. to work under your on-site project lead. We are dedicated to providing the professional resources you need so you never have to turn down a project. Do techs have their own tools? All techs have their own tools including punch down tools, cutters, screw drivers, power drills, crimpers, and PPE (personal protective equipment) upon request. Is there a rate sheet? No, rates vary depending on the location and skills required to complete the project. Yes, the techs are already insured. Techs must be paid to work at least one full 8-hour day. Do I need to send a lead? Yes, techs will work under your on-site project lead. You say nationwide, but do you have people in _______? We have techs available usually within 30 miles of the job site to eliminate the high travel, hotel, and meal expenses that build up by sending techs to a job site. Techs are only available to work in the U.S.
Techs are usually within 30 miles of the job site. What if the tech doesn’t work out? Things happen and techs can be replaced upon your request within 24 hours. There are no hidden fees. The negotiated rate is the cost of the labor. Yes, all techs are vetted before they are hired. Additional screenings and interviews are available upon request. Techs can wear a company shirt so they look like they are part of your team.